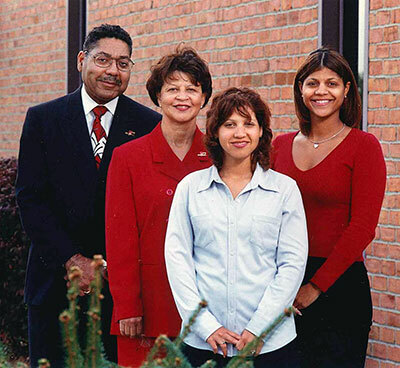 The Institute’s inspiration, William G. Mays (Indiana University BA ’70, MBA ’73, honorary Doctor of Science ’00), began his nearly 50-year career in Indianapolis and provided outstanding local, national, and international leadership in the business, civic, and philanthropic sectors. In tribute and celebration of his legacy, the Mays Family Institute at the Indiana University Lilly Family School of Philanthropy has been created. This Institute honors the philanthropic values of Bill and his wife Rose to provide the community with a space for public inquiry, hands-on training, and the study of generosity within historically underrepresented groups. Lead communications and marketing strategy for community foundation with nearly $800 million in assets, governing messaging, media relations, advertising, web and social media, and design and collateral production. Within months of hire, led high-profile 100th anniversary campaign for CICF affiliate, The Indianapolis Foundation, garnering national media coverage and meeting all internal goals. Expanded foundation’s social and digital media outreach, increasing Facebook following by more than 100 percent in one year. Launched foundation’s first podcast, For Good. Created and executed communications strategy for the launch of Campaign to Change Direction mental health initiative in nine cities, 46 college campuses, plus hospitals, health departments, chambers, foundations and businesses. Led communications strategy for 2018 sold-out “Moderated Conversation with former First Lady Michelle Obama,” at Bankers Life Fieldhouse. Lacy Johnson's primary areas of practice focus on public affairs services where he serves as co-chair to the Public Affairs and Gaming Group. A life-long resident of Indianapolis, Indiana, Lacy received his Bachelor of Arts from Purdue University. He holds a juris doctorate from the Indiana University Robert H. McKinney School of Law. He is admitted to practice in the state of Indiana. Before joining Ice Miller, Lacy served as attorney, Government Relations Services, Sagamore-Bainbridge, Inc.; director of security for the Indiana State Lottery; liaison with the Indiana General Assembly and Lt. Colonel and deputy superintendent for Support Services for the Indiana State Police. Lacy is a former Lt. Commander of the United States Naval Intelligence Reserves. 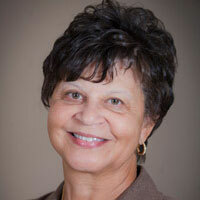 Dr. Rose Mays, William’s wife, is professor emeritus at the Indiana University School of Nursing at IUPUI. From 1973 until her recent retirement, Dr. Mays specialized in teaching pediatric nursing. For eight years, she served as the school’s associate dean for community and international affairs and implemented a program of research and community service focused on health promotion and disease prevention for vulnerable adolescents. Over the course of her career, Dr. Mays has demonstrated a sustained commitment to fostering diversity within her profession, her workplace and her community. 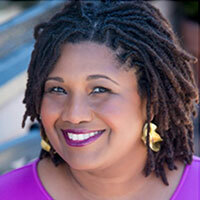 Additionally, she serves on various boards and local service organizations. Dr. Mays earned her bachelor’s degree in nursing from the University of Evansville and her master’s in pediatric nursing from IU. Her doctorate in nursing science is from the University of Texas at Austin. Carolene was appointed to the Indiana Utility Regulatory Commission by Governor Mitch Daniels in 2010 and reappointed by Governor Pence in 2013. Named one of Smart Grid's 50 Pioneers of 2013, Carolene is also the elected President of the Mid-America Regulatory Conference (MARC). 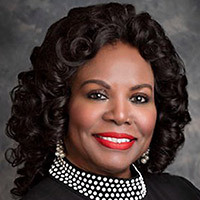 She serves on the National Association of Utility Regulatory Commissioners (NARUC) Water and Washington Action Committees, and is the Chairperson of the Critical Infrastructure Committee. She also serves as the IURC's vice chair. Previously, she was Publisher and President of the Indianapolis Recorder Newspaper and the Indiana Minority Business Magazine. She also was a finalist for an appointment by President Barack Obama as the Midwest Regional Director of Housing and Urban Development. Carolene served in the Indiana House of Representatives from 2002 to 2008, where she received several Legislator of the Year awards. She was listed as a "Rising Star in Indiana Politics" and was named one of "Indiana's Most Influential Women." Carolene serves on the Indianapolis Capital Improvement Board, Indiana Sports Corporation Board, and Peyton Manning’s PeyBack Foundation, among others. She was the NCAA Women’s Final Four chairperson in 2006 and 2011, and 2012 Indianapolis Super Bowl Chairperson of Administration. Trustee Morris is the vice chairman of Pacers Sports and Entertainment. A graduate of Indiana University with a master’s degree from Butler University, he was former Mayor Richard G. Lugar’s chief of staff from 1967 to 1973, before joining the Lilly Endowment where he served as president from 1984 to 1988 and from 1989 to 2002. 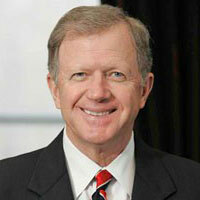 He was also the chairman and chief executive officer for IWC Resources Corporation and Indianapolis Water Company. Before going to Pacers Sports and Entertainment, Trustee Morris was the executive director for the United Nations World Food Programme (WFP), where he led the world’s largest humanitarian agency. 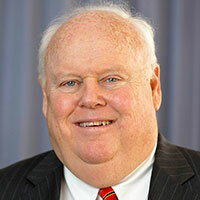 Trustee Morris has received many honors, including 16 honorary degrees and IU’s Distinguished Alumni Service Award. 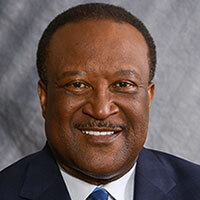 He has been a trustee and board chairman for both Indiana State University and Indiana University, serves on the national advisory board for the Boy Scouts of America, and is treasurer of the U.S. Gymnastics Federation. He served as chair of the board for Riley Children’s Foundation, is a current trustee of Indiana University, a former member of the IU Foundation board of directors, and serves on a number of corporate boards. 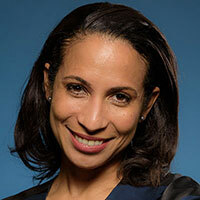 Una O. Osili, Ph.D., is an economist with significant experience in research and policy in the fields of household behavior and economic policy. She is also associate dean for research and international programs at the Indiana University Lilly Family School of Philanthropy, the world’s first school dedicated to increasing the understanding of philanthropy and improving its practice worldwide. 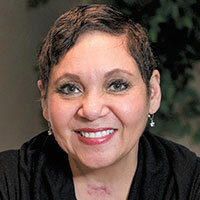 Joyce Rogers currently works with the Indiana University Foundation, the Office of the Vice President for Diversity, Equity, and Multicultural Affairs (OVPDEMA), and campus senior officers in developing and executing student recruitment, external relations, and fundraising strategies that support and advance diversity and inclusiveness initiatives at Indiana University. Charged with increasing the presence and significance of Indiana University among prospective and current minority students, alumni, business and community leaders, and donors, Rogers’ primary focus is on securing private support for the university’s diversity and inclusiveness initiatives, particularly those related to the IU Bloomington campus. Rogers has been highly engaged in a wide variety of community, civic, and professional organizations and nationally recognized for her efforts in operations, leadership, development, diversity and inclusion. Curt is widely recognized as a national leader in fundraising for higher education, management of foundations, and foundation-institution relationships. 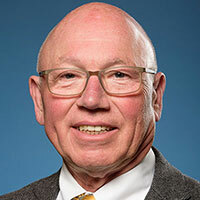 He has more than 40 years experience in all areas of development and alumni and external relations, at both public and private institutions of higher education. As president of IUF from 1988 to 2008, Mr. Simic was the chief development officer for IU, responsible for oversight of all fundraising in a multi-campus development operation with centralized and decentralized functions; investment of the endowment; and development-related administrative services and infrastructure. Under his leadership, fundraising for IU grew from $35 million a year from 60,000 donors to more than $100 million from over 100,000 donors. Since 1990, IU has ranked almost every year in the top 20, or top 2 percent, of colleges and universities in the nation in total voluntary support, the combined total of gift and non-governmental grant funds received by an institution in any given year. The endowment also grew from approximately $214 million to $1.2 billion, ranking IU consistently in the top 15 among public universities in the U.S. in the market value of its endowment. Beginning his career at IUF as director of the annual fund and of the Student Foundation, Mr. Simic also served Yale University and the universities of Tennessee, Alabama, Oregon, and California-Berkeley, where he directed all fundraising efforts for the campus, including the largest fundraising campaign ever conducted at a public university at that time. 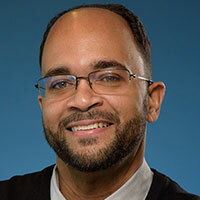 The recipient of many awards and honors, he is a presenter and author on development topics and has been an advisor and consultant to many colleges, universities, and non-profit organizations. He has authored book chapters, articles, and brochures about the relationship between foundations and their educational institutions, the fundraising responsibilities of foundation and of institutional governing board members, faculty relations, and funding mechanisms for foundations. Professor Tempel led the world’s first school devoted to research and teaching about philanthropy. An internationally recognized expert on the philanthropic sector, he has four decades of leadership and fundraising experience. He helped found the school’s precursor, the Center on Philanthropy, and was its executive director for 11 years, transforming it into a leading national resource.